Why has nationalism suddenly returned with a vengeance? From the Trump administration in the United States to rightwing populist parties and leftwing parties in France, the United Kingdom, Sweden, Norway, Finland, Denmark, Germany, the Netherlands, Switzerland, Belgium, and Austria, and authoritarian parties in Hungary, Poland and Russia, nativism and xenophobia have been allowed to revive. Is it an understandable response to the failure of the post-World War II institutions to live up to their promise? Or are today's nationalists blind to the ills that beset these nations? Are Europe and the United States -- and China, Japan and other Asian countries -- headed back to the fractious conflicts on the late 19th and early twentieth century that led to world wars and depression? 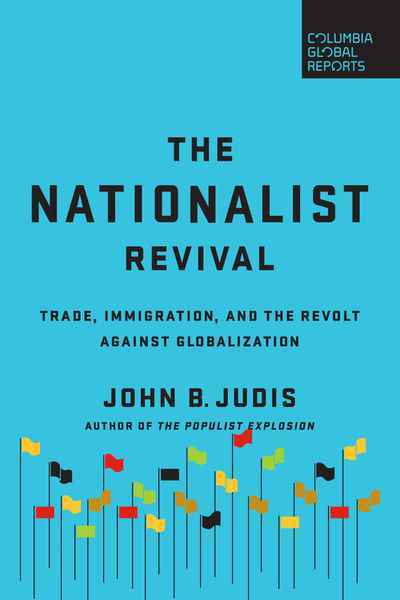 The writer who explained populism and the rise of Trump in his acclaimed 2016 book, The Populist Explosion, travels the United States, Europe and Japan to look at nationalism from its origins in the 1800s to today to find answers.